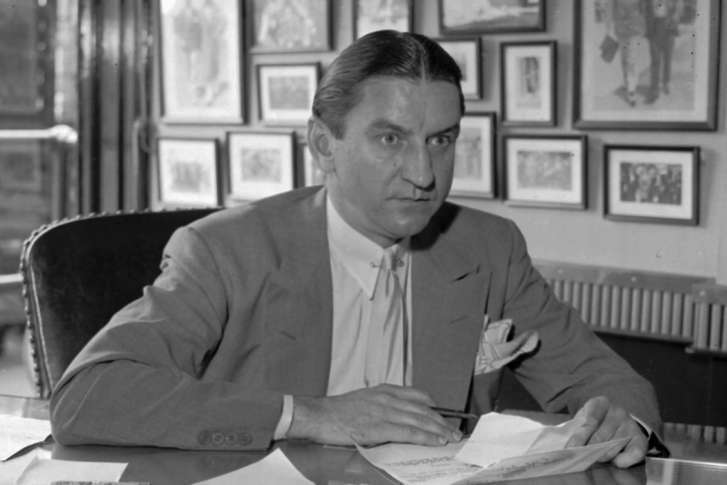 A memorial marker honoring the founder of the Washington Redskins George Preston Marshall is likely to be removed as part of redevelopment plans at RFK Stadium. But two Native American groups and a D.C. Council member would like the team to also rename a section honoring Marshall at its current stadium. WASHINGTON — Two Native American groups and a D.C. Council member are asking for a memorial marker to the first owner of the Washington Redskins be removed from RFK Stadium and a section renamed at FedEx Field. “(George Preston) Marshall’s bigotry extended well beyond his abhorrent decision to use a racial slur as his team’s name. During his day, he was one of America’s most infamous and outspoken segregationists — and his legacy is marred by discriminatory words and deeds directed at people of color,” the letter from the Oneida Nation and the National Congress of American Indians reads. D.C. Councilmember David Grosso, who is also calling to remove a statue of Albert Pike from Judiciary Square, signed onto the letter. Marshall was the last NFL team owner to integrate his football team in the 1960s. He was inducted in the Football Hall of Fame in 1963. The letter was sent to the current team owner Dan Snyder on Friday and included a request that the lower level of FedEx Field, where the Redskins currently play, no longer be named for Marshall. A spokesman for the Redskins declined to comment. “It’s deeply troubling that a team has a stadium section named after someone who refused to integrate his team,” said Joel Barkin, spokesmen for the Change the Mascot Campaign, which has also pushed Snyder to change the team name to no avail. He said Snyder should follow the playbook of the Boston Red Sox — the team called to rename Yawkey Way, a street near the baseball stadium named after the team’s owner, who also refused to integrate the team. The groups also wants the fate of the Marshall marker at RFK be considered as part of the redevelopment of the stadium site, Barkin said. Events DC, which operates the stadium and is leading the redevelopment, has been working with stakeholders to determine the future of the Marshall marker. “We are in the process of determining the appropriate ownership and determining a proper location to remove and relocate the (Marshall) monument from the RFK Campus,” spokeswoman Chinyere Hubbard said in an email to WTOP.